The Singapore Writers Festival is one of Asia’s premier literary events. A much anticipated event on the cultural calendar that presents the world’s major literary talents to Singaporeans while shining a spotlight on home grown and Southeast Asian creative talents. Over the years, the Festival has become an exciting meeting point of writers, academics and thinkers in a choice spread of panel discussions, workshops, lectures and performances in 10 days. The Singapore Writers Festival is one of the few multi-lingual literary festivals in the world, celebrating the written and spoken word in Singapore’s official languages – English, Malay, Chinese and Tamil. The Singapore Writers Festival revels in the realm of imagination and beseeches writers, thinkers and audiences to look inward and outward, and explore multiple possibilities of reading, writing and living. Lewis Trondheim was born in 1964 and spent his youth in Fontainebleau. After graduating in philosophy, he followed advertising graphics courses. In 1987, he met Jean-Christophe Menu at a seminar and discovered a new way of creating comics books, out of the traditional academic learning-style. A year later, Lewis published on his own twelve issues of his fanzine « ACCI H3319 », before joining « Labo » magazine. In 1990, he co-founded the comics publishing house L’Association with a few peers, including his future wife Brigitte Findakly. Lewis Trondheim then published comic-strips intended for young people, as well as TV animated series. Made Knight of Arts and Letters in 2005, he’s rewarded with Angoulême’s Festival Grand Prize in 2006. Subsequently, he wrote an opera’s libretto, co-written a TV series called « Reboot », and launched an online daily strip named « Bludzee ». Brigitte Findakly was born in 1959 in Mosul (Iraq), to an Iraqi father and a French mother. Brigitte Findalky is a colorist and scriptwriter. She lived in Mosul through a period of coups d’Etat, until her family’s exile in France in 1973. 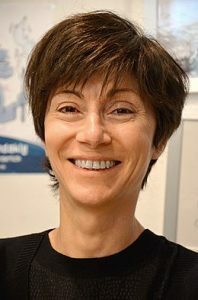 In 1982, she became comics colorist and worked notably for « Pif Gadget », « Le Journal de Mickey » and « Spirou ». She took part in the making of her husband’s comics « Lapinot » and « Mickey’s Craziest Adventures », as well as Joan Sfar’s « Le Chat du Rabbin » or Manu Larcenet’s « Le Retour à la Terre ». Renowned French husband-and-wife team, Lewis Trondheim and Brigitte Findalky, have continuously participated in renewing the comic book genre, working together for more than two decades as a cartoonist and storyteller respectively. In their 2017 graphic novel « Poppies of Iraq », Trondheim illustrates Findakly’s memories of her childhood in Iraq to present a tender recollection of family life set against a backdrop of social and political upheaval. Come meet the acclaimed duo who will share their compelling lives. Tran Anh Hùng was born in 1962 in Da Nang in southern Vietnam. Tran Anh Hùng is a french director of Vietnamese origin. He took refuge in France at 12 years old where he studied at l’École Louis-Lumière. « The Scent of Green Papaya », his first full-length movie, was awarded the Caméra d’Or jury in Cannes in 1993, as well as the César for best debut work in 1994. 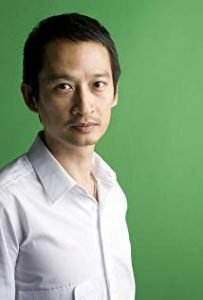 His stylized thriller « Cyclo », which takes place in the streets of Ho Chi Minh City received Venice Film Festival’s Golden Lion in 2005, making him one of the youngest filmmaker to obtain this distinction. Award-winning French-Vietnamese director Tran Anh Hùng insists on the importance of the language of cinema above all languages. Tran recently took on Norwegian Wood, the beloved novel showcasing the surrealistic and lyrical storytelling of Japanese writer Haruki Murakami. Oscar-nominated actress Rinko Kikuchi plays the melancholic Naoko, part of a love triangle involving the shy Toru Watanabe (Kenichi Matsuyama) and the eternally happy Midori (Kiko Mizuhara). Meet the filmmaker-scriptwriter, and find out how he interpreted Murakami’s elusive mindscapes on the silver screen through wistful imagery and sound, how he explores the intricacies of literary and filmic qualities, as well as his thoughts on reading the urban landscape for clues to the inner lives of its characters.